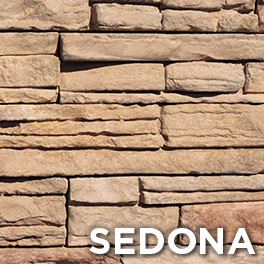 Sedona Stone Veneer is a family owned & operated local manufacturer of beautiful stone veneer. We are proud to offer our high quality products at factory direct prices. Please explore our website and check out some of our many residential and commercial installations. 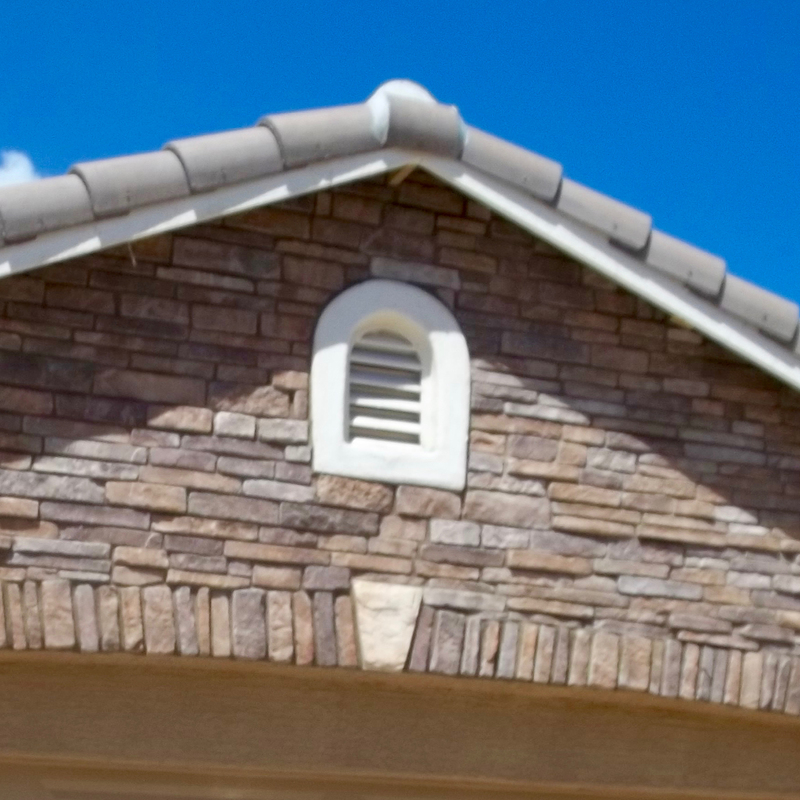 You are also welcome to visit our shop in Mesa or give us a call at (602) 845 – 0004. 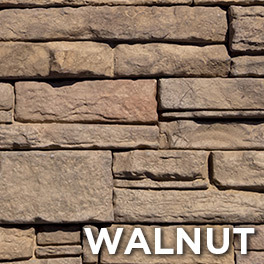 We offer ten Stone Styles, with a wide variety of textures and shapes to fit your tastes, whether you are looking for something traditional or contemporary. 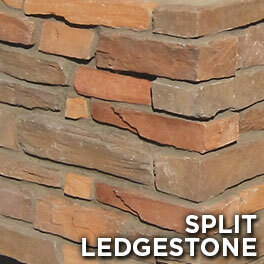 SPLIT LEDGESTONE has angular layers with many unique shapes. 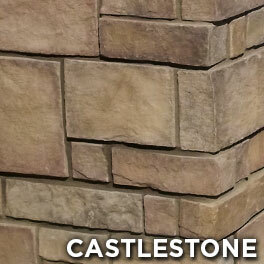 CASTLESTONE has rectangular blocks with tightly fitting joints. 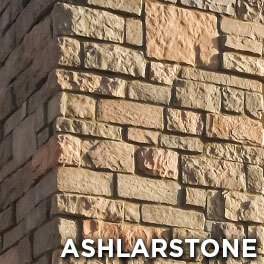 ASHLARSTONE has slightly worn, shallow texture blocks. 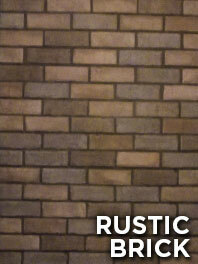 RUSTIC BRICK has old world style bricks with a weathered surface. CHISELED LIMESTONE has roughly hand-carved blocks. 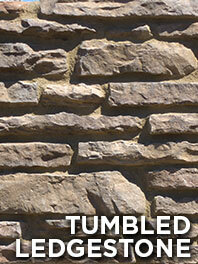 TUMBLED LEDGESTONE has long, weathered edge layers. 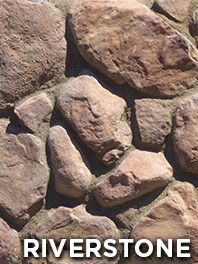 RIVERSTONE has naturally worn and rounded stones. 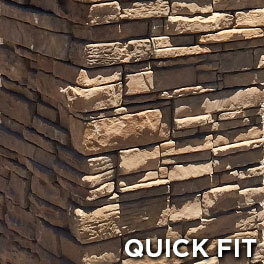 QUICK FIT has multi-stone, segmented layers with no grouting required. 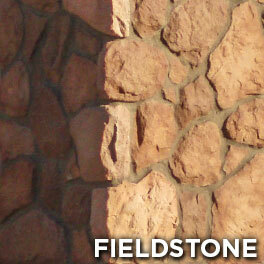 FIELDSTONE has angled, highly variable stone. 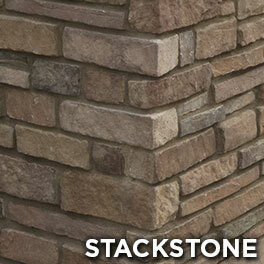 STACKSTONE has tightly-fitting, wide layers of smooth rectangular stone. 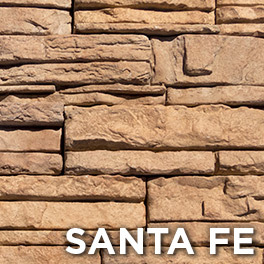 Inspired by the striking natural landscapes of the Southwest, our nine Color Schemes range from subtle to vibrant. 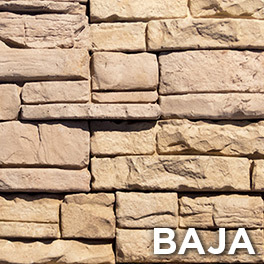 BAJA -- blend of light tans and khaki. WALNUT -- intense shades of amber. SEDONA -- hues of red rock country. 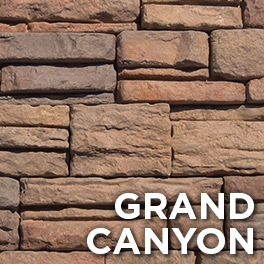 GRAND CANYON -- deep, earthy jewel tones. 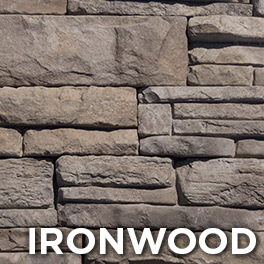 IRONWOOD -- rich grays with warm accenting. SANTA FE -- adobe earth tones of the high desert. 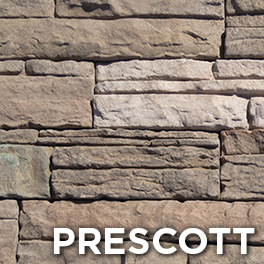 PRESCOTT -- warm mountain shades. 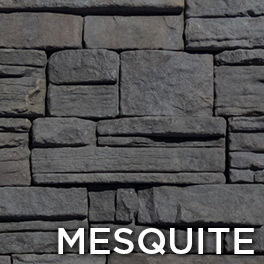 MESQUITE -- dark slate and charcoal. 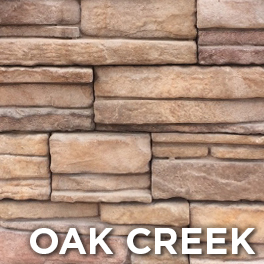 OAK CREEK -- blend of gold, soft beige, eggplant & cream. 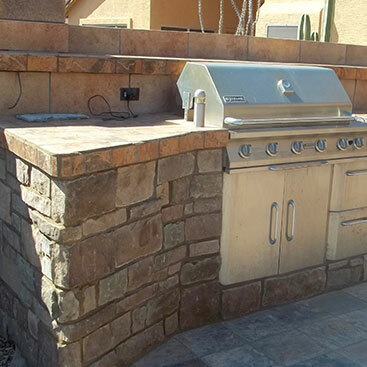 A selection of photos from some of the many Sedona Stone Veneer installations in the Phoenix metro area and across the Southwest. These include remodels, new construction, small updates, homes, businesses, interiors, exteriors, and more. Click photos to enlarge. 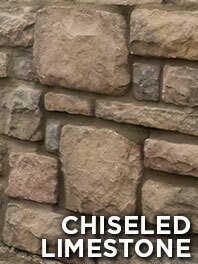 For a cohesive look, our trimstones offer the necessary accents to complete your project. We offer a wide range of trim to cap walls, provide seating surfaces, finish edges, surround outlets and doorways, and more. 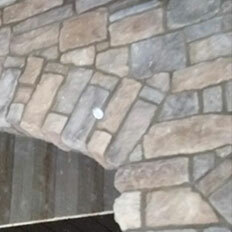 Trimstones are available in the same wide range of Color Schemes seen above. Click photos to enlarge. We are on the southeast corner of 96th St. & Main St. (Apache Trail), next to Craft City. Total square footage of flat areas to be covered with stone. Total linear footage (height) of corners to be covered with corner stones. 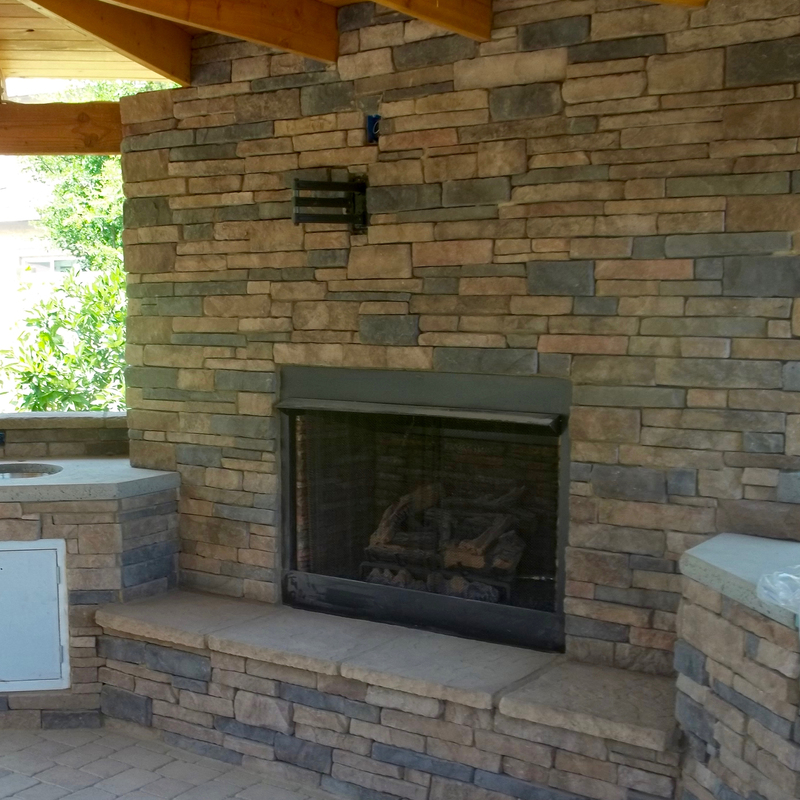 Stone Style & Color Scheme preferences.  Preference of delivery location or pick-up from our Mesa shop.